Backup power is more affordable than ever with the smaller, sleeker 10 kW1 generator system. Designed to keep your home running during an outage, this system is ideal for small to medium-sized homes. 6 Year Parts, Labor & Travel Limited Warranty: The longest warranty in the industry. Our most comprehensive 6 year parts, labor & travel limited warranty. Commercial-Grade Engine: A commercial-grade Vanguard™ engine means powerful performance when it matters most. Durable Enclosure: Designed to weather the elements, the system's enclosure is made from automotive-grade Galvanneal steel to resist rust. Its advanced powder coat paint process results in years of protection against chips and abrasions. 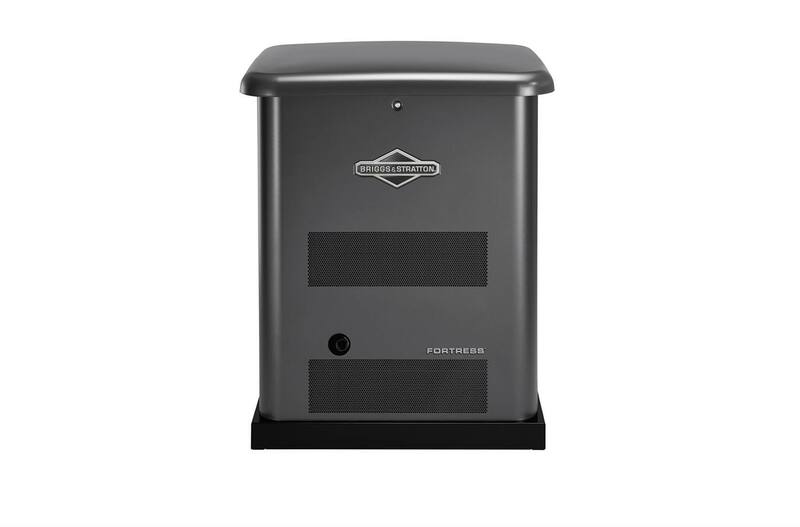 Superior Customer Support: Shopping for the right standby generator for your home can be confusing, but Briggs & Stratton will be with you every step of the way. Complete our web form below or visit the Customer Support portal to get your questions answered. Flexible Placement3: Have a tight lot line? Worried about your curb appeal? Install your generator as close as 18" from your home. Our generators are in compliance with the stringent National Fire Protection Agency 37 standard.